The ideal vacuum cleaners for this type of work are known as Wet vacuum cleaners. This type of vacuum cleaners was originally designed for heavy duty jobs, including cleaning wet areas in commercial properties. However, newer, compact designs of different sizes for domestic use are now available on the market today. 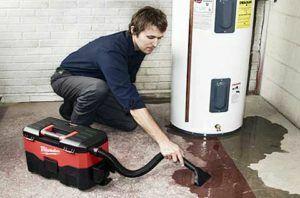 In addition, wet vacuum cleaners can be used to do any other cleaning work at home just like any other ordinary vacuum. These cleaners are also known as Wet/Dry vacuum cleaners. What Are The Advantages Of Using A Wet Vacuuming? # They are versatile: A wet vacuum cleaner can be used to perform various different cleaning tasks. Apart from cleaning wet spills, it can also pick small to large amounts of debris, inflate mattresses as well as pool toys; unclog pipes, and retrieve items from a sink. They have many other different applications. # Easy disposal of liquids: Wet vacuum cleaners have drain pipes attached to them. These hoses allow for easy disposal of liquids. In addition, the collected debris is removed by lifting the lid of the collector. These easy to use disposal units make this vacuum cleaner very convenient for the user. # Size and portability: Wet vacuum cleaners come in various sizes. They range from 1/2 to 15-gallon capacity. In addition, they come with an up to a 3 stage motor capacity. A Wet vacuum with a bigger tank will certainly become heavier once the tank is filled with water. However, to ease movement, the machines come with wheels. In addition, because the rear wheels are larger, carrying the machine up and down the stairs is not difficult. For added flexibility, these machines are increasingly coming as cordless or handheld. # Power: Wet vacuums are associated with powerful suction and lifting capabilities, making them very efficient and effective in cleaning liquids and dust particles. In addition, they come with a separate collector or tub containing fixed motors. This means that they have easy storage facilities for the collected debris or liquid. Even if your machine may not have a large tank, this should not worry you because it has a very strong suction power. Price: Look for a machine that falls within your budget. Weight: A lightweight vacuum is more convenient in many aspects. Operating radius: A machine with an extensive operating radius is the best for cleaning because you will not need to unplug it while cleaning most areas. Capacity: Look for a cleaner with a large capacity. It is more convenient because you won’t waste time emptying the canister after every few minutes. # Tools and accessories: Consider the tools and accessories that come with the machine. Some of them come with more tools than others. # Warranty: This is another important aspect that you need to consider when buying a wet vacuum. Longer warranty periods are always better. When you are dealing with stubborn stains, deep seated odor, or caked-up much that have accumulated over the years, water and soap just won’t do. This is where wet shampoo cleaning comes in handy. There exist a big number of different brands of carpet shampoos on the market today. However, when it comes to cleaning your carpet using wet shampoo, it is important to follow the instructions on the label carefully. Ensure that you prepare your solution exactly as directed on the packaging. Most of the times, you will need to dilute the shampoo with water. Make sure you use the right amount of shampoo to cover the area you are cleaning. Avoid making the carpet too wet because you will have wasted your shampoo. This will also increase the drying time. 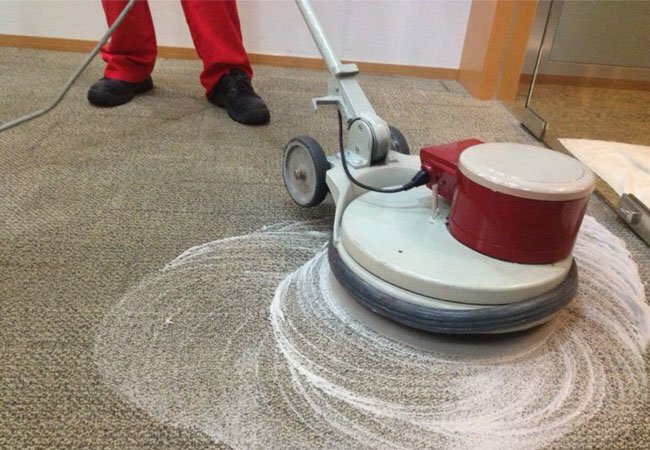 However, with a Wet vacuum cleaner, you don’t have to be worried if your carpet becomes too wet because the machine is designed specifically for this type of work. Use a powerful vacuum cleaner, such as a wet vacuum, to clean the stubborn areas. Lastly, vacuum the shampoo once it has completely dried. The major disadvantage of using wet shampoo cleaning is that shampoos take a long period of time to dry. This means that you will have to leave the room off-limits for a considerable period of time, which may cause a lot of inconveniences. On the other hand, you can opt to go for carpet powder if you want a quick job. In addition, powdered shampoos can be vacuumed much faster and are effective as wet carpet shampoo. Having Wet vacuum cleaner is very advantageous because of its many applications around your home. Apart from being very effective in cleaning wet spills, they can also perform all the other tasks of an ordinary vacuum cleaner effectively. It is also a very convenient vacuum cleaner because of their easy to use disposal units. Buying one of these machines will make your carpet cleaning in your home an easy exercise for you.